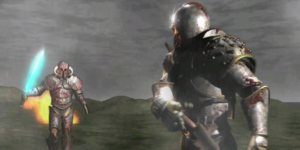 Video: DirectX 6.0 compatibility required. Sound: 16-bit Sound Card required. 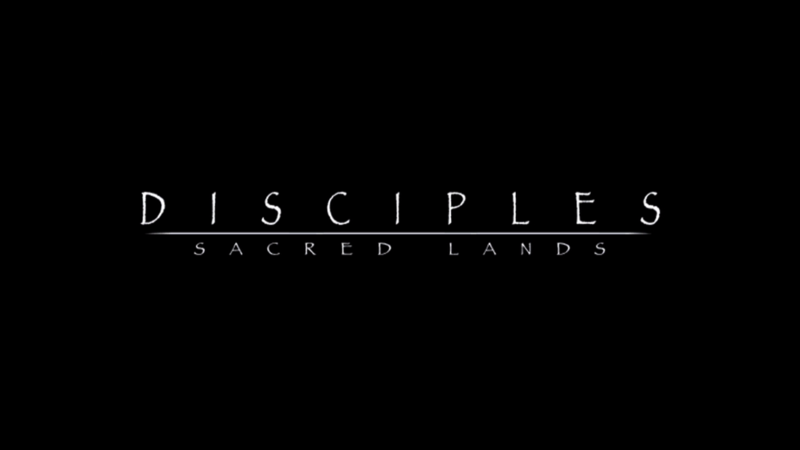 Disciples: Sacred Lands runs nearly flawlessly in Windows 10. When exiting the game, it sometimes fails to exit gracefully. All this requires on the part of the user is to click the “End Process” dialog that pops up when this happens. 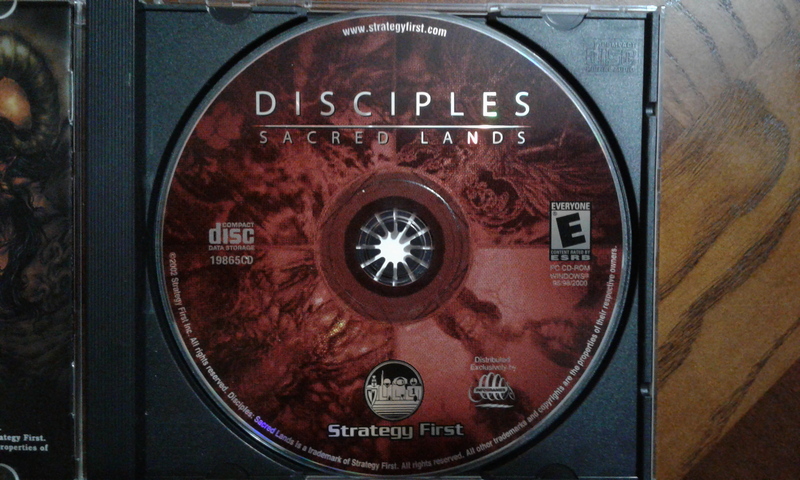 Disciples: Sacred Lands is a fantasy themed turn-based strategy game released by Strategy First in 1999. In this game you play as one of four distinct races: The Empire, The Mountain Clans, The Legions of the Damned, and The Undead Hordes, all battling for supremacy of, well, the manual actually just says “war-torn world.” I guess they’re still working out a name for it. 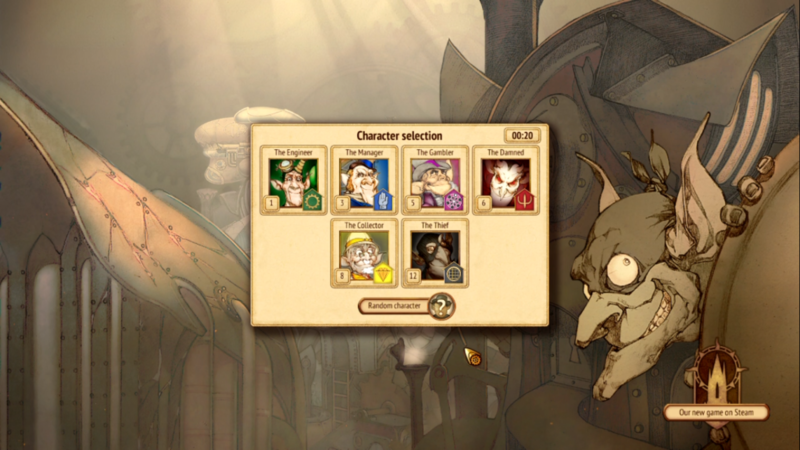 Not sure where these characters actually exist within the game’s lore. 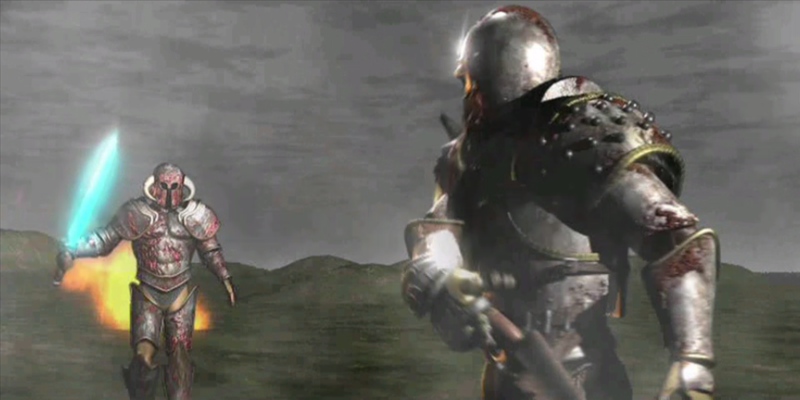 Gameplay centers around three core components: city management, managing unit movements throughout the overworld, and actively engaging enemies in tactical combat. 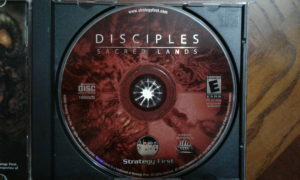 Disciples: Sacred Lands is a serious strategy title. A player does not simply train troops and send them out blindly in this game. A great deal of planning is required to ensure the player’s towns are adequately protected and logistics have to be thought out. 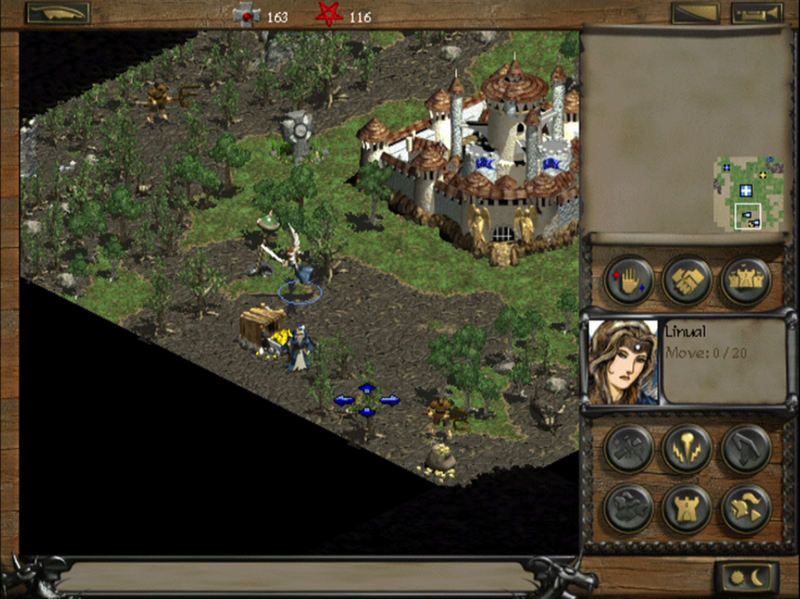 The player starts the game with a capital city filled with a variety of troops. 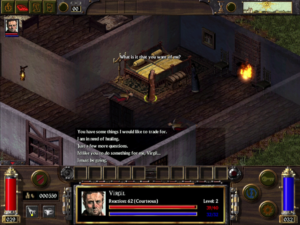 A leader is stationed at the city to protect it, while another leader is at the ready to be sent out on quests on the player’s behalf. 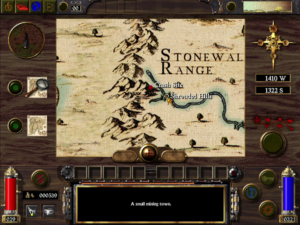 Regular troops must have a leader in order to exit the city and fight or travel in any strength or speed on the overworld map. The number of units a leader may lead is designated by their leadership indicator. 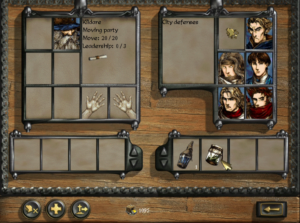 If a leader dies in battle, but some of his units survived, the broken party may hobble back to a town controlled by the player to resurrect the current leader or create a new leader and offload the units to the new party. Once a party is created in the capital city, it may be sent out on quests. There are all sorts of bad fellows around the countryside to pick a fight with. 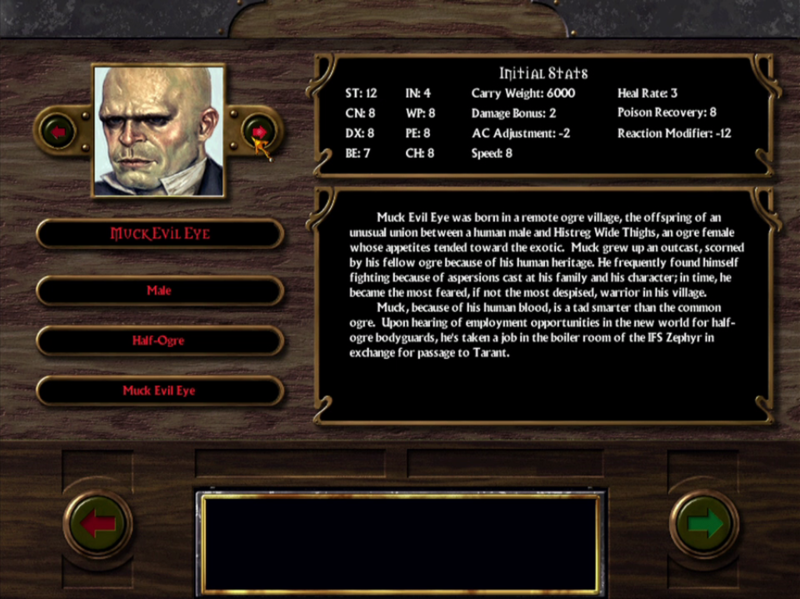 Each fight won gains the party experience points and comes with a chance of obtaining some loot. The party may receive gold, magic potions, or magic staffs and scrolls that may be used to cast spells. 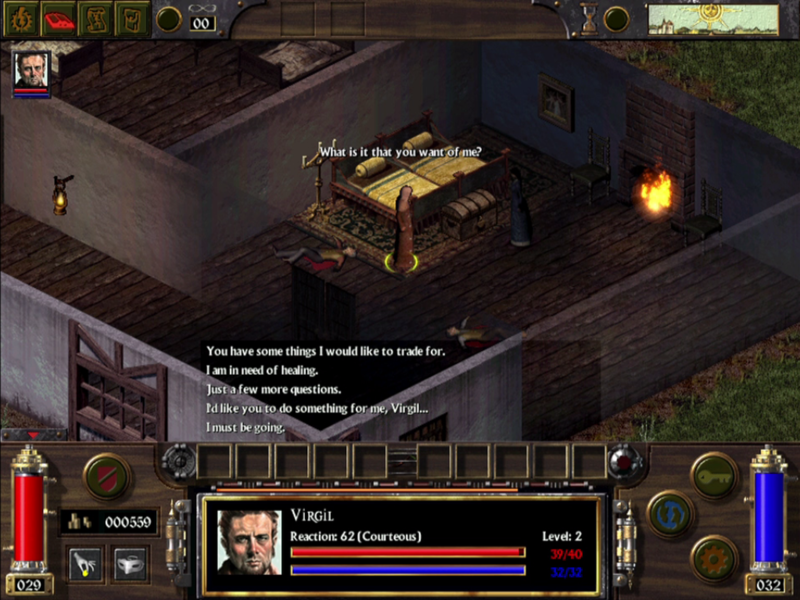 When party members reach enough experience points, they may level up given that the appropriate structures are available in the capital city for them to do so. It is best to leave some units behind protecting your towns. It surprised me how quickly and easily I got routed by the enemy AI when I was not expecting it. It is also good to always have a plan of retreat for all active parties. Building up a party’s experience takes time, and once the easy pickings of the game are dead, only difficult enemies remain. In one game I focused on leveling up only one party and was disappointed when they got routed and I lost the match. 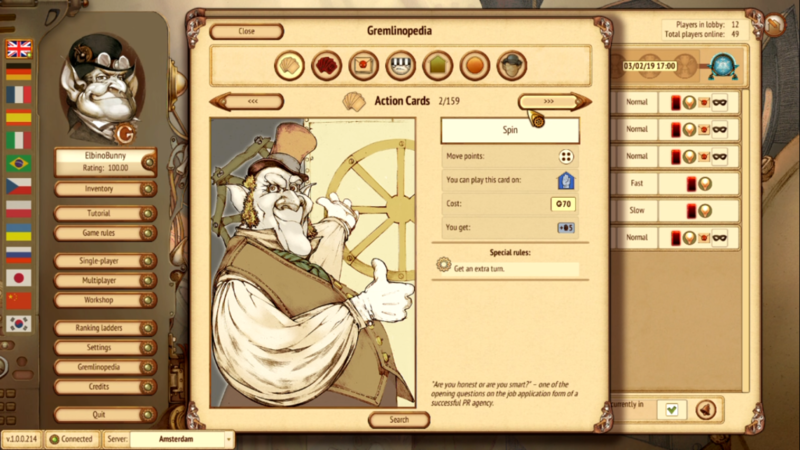 In another I focused on running a multitude of parties, maxing out my gold income per turn on units. 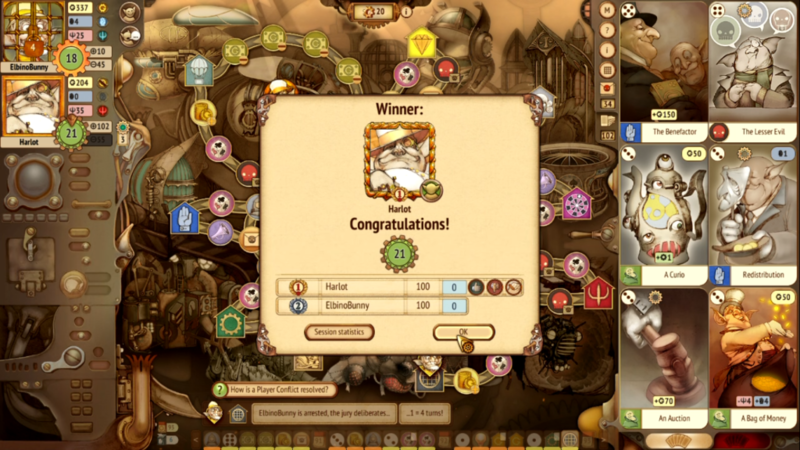 I actually did better with this strategy, but it was not enough to overcome my opponent since he was able to level up his armies on my weak ones until he was at ample strength to wipe me out. A hybrid of the two approaches seems to be required. Treat your unit parties with kid gloves. Disciples: Sacred Lands seems to have been designed to be played more like chess and less like checkers. 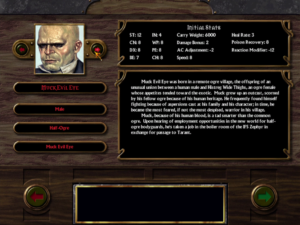 As long as one member of the party survives after a battle or retreat, you can resurrect the entire party if you can get them back to one of your towns. Planting a rod to increase territory. Player territory is in green. 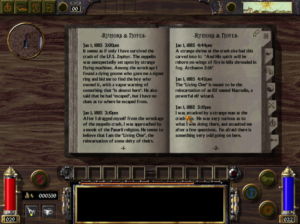 The player is provided a great deal of choices in Disciples: Sacred Lands while being granted finite resources. 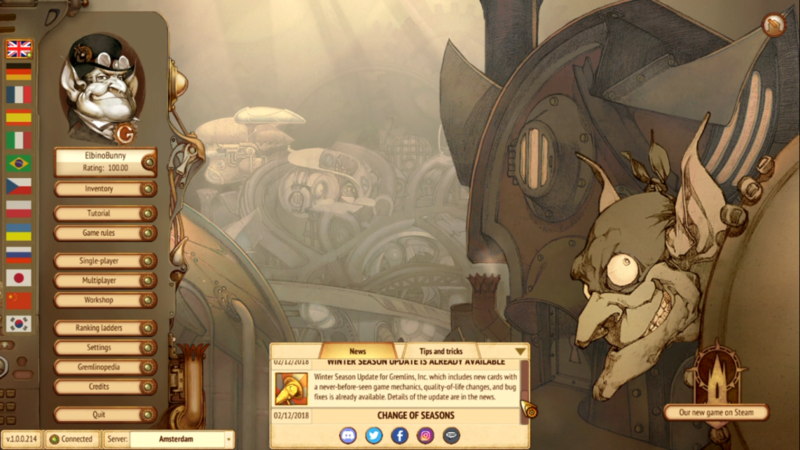 Gold is used to recruit troops and leaders, resurrect dead party members, build buildings to train and level up units, and buy other in-game items. Various colors of mana are used to research and cast spells. 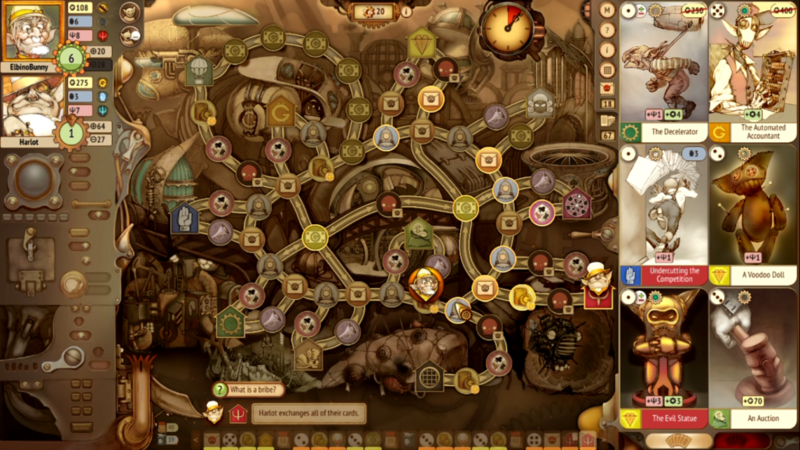 The amount of gold and mana received each turn is directly proportional to the number of gold and mana resources controlled within the player’s border on the overworld map. Rods may be placed by certain units to claim land that surrounds a precious resource. 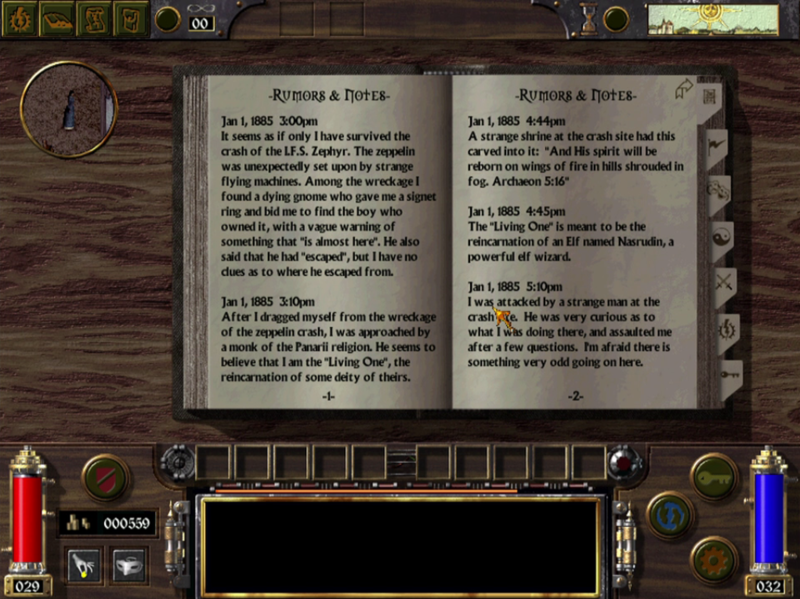 When playing as The Empire, the rod placing unit is the Arch-Angel. When facing an enemy, the game enters a tactical battle screen. Each unit takes turns attacking enemy units until all units on one side have died, or one side has retreated or surrendered. 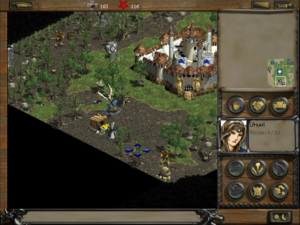 When recruiting troops the player may notice there is a two by three grid containing the leader and her units. Moving units around in this grid changes their ultimate positioning on the tactical battlefield. Keep this in mind because troop position is incredibly important. I got burned when I placed all of my warriors, a melee unit, in the first column also known as the back row of fighting. When their turn came to fight, they were all out of range of the enemy because they weren’t close enough to hit anything. Even though it seems the level maps are static which provides a certain degree of consistency and predictability, the game has thrown me curve balls when I least expected it. This is a challenging game. Really fun, but really challenging. I would recommend keeping a notebook of all active units and their general whereabouts. There are no automatic orders that are continued from turn to turn. 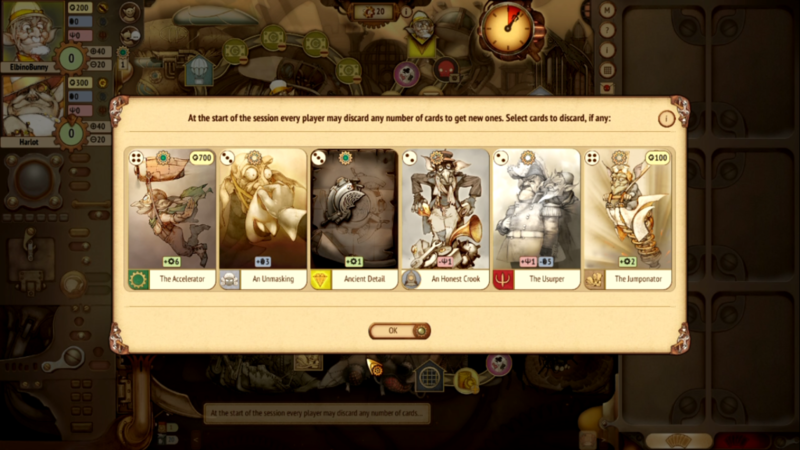 A player must simply click on a unit and move it any number of movement points that it can be moved in that turn. This makes it very easy to forget to move a unit on a given turn. My first thought was to be frustrated by this lack of game feature. As I continued to play I discovered how it would not be helpful since providing the player the ability to automate units would cause all sorts of problems for the player when an enemy human or AI is encountered. 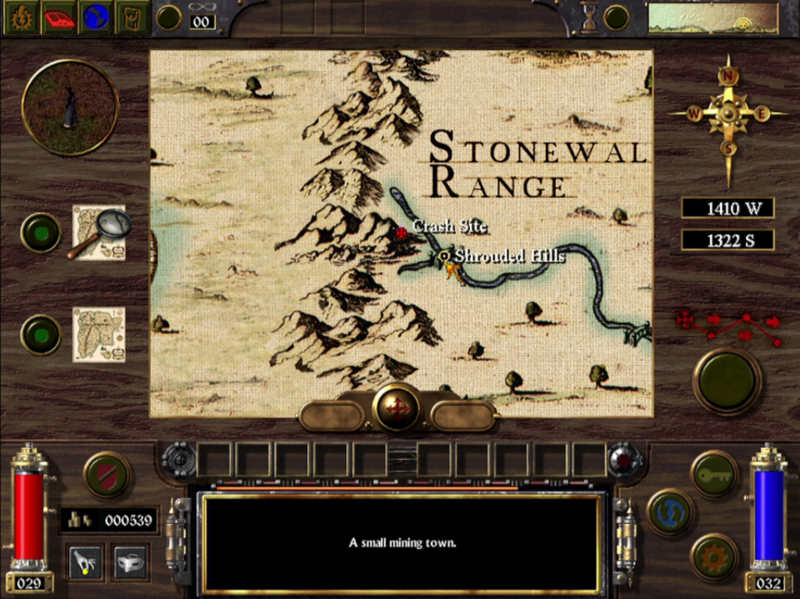 Disciples: Sacred Lands is a game where you want to be in complete control of all of your units at all times. It is best if all actions are calculated. 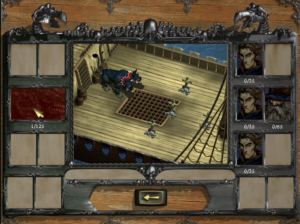 Sending a unit out to explore as cannon fodder is always a losing tactic in this game. 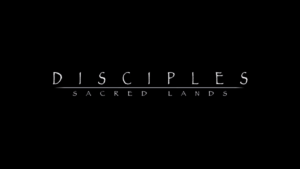 It’s really not fair to relegate Disciples: Sacred Lands to a simple first impressions review. 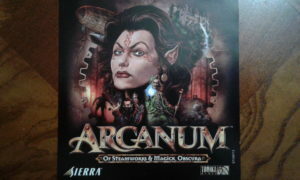 This game is incredibly deep and demands more time played to fully review its gameplay and winning strategies. My wife has been trying to get me to start doing weekly Twitch streams. 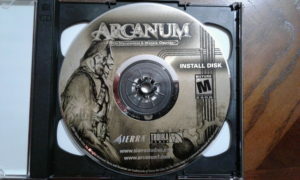 Maybe this would be a good game for that. 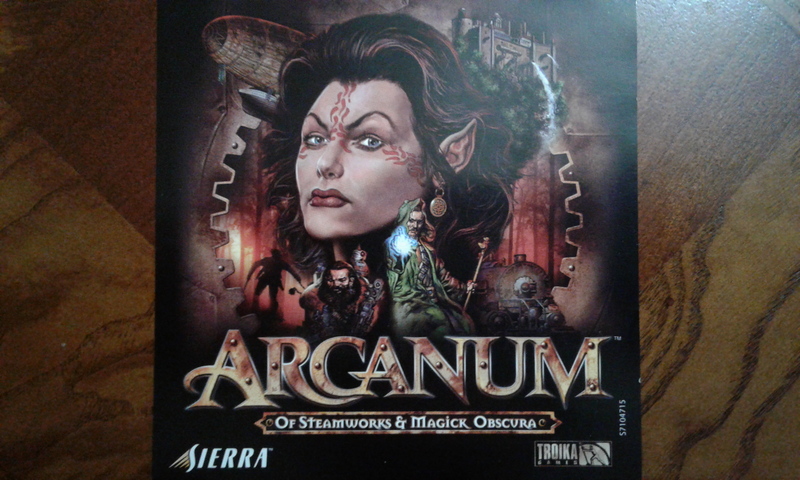 This game works nearly flawlessly in Windows 10, so don’t hesitate to purchase it online or from your local thrift store if you are a fan of strategy titles and want a good challenge to play on your modern computer.